In 2018, the output of China’s polyolefin pipe material continued to increase steadily. Meanwhile, both the varieties and quality of grades increased. China’s petrochemical companies continued to put efforts in the research and production of high-end pipe materials such as underfloor heating pipe material, large-diameter pipe material, cracking resistant pipe material. The steady rise in total output, the development of new grades and the optimization and promotion of existing grades led to changes in the supply pattern of domestically-produced and imported pipe materials in China’s market. The trade war between the U.S. and China and the fluctuations of RMB exchange rate have obvious influence on the imported plastic pipe material in China’s market. With the development of China’s plastic pipe material industry and the changes of international trade status, the supply side in China’s polyolefin pipe material is changing as well. We should pay attention to the development prospect of different pipe materials and the changes in the market share for both domestically-produced and imported pipe materials. The supply change of natural gas in Russia weighs on the specific-purpose gas pipe materials market. The introduction of the new national standard of PPR in 2018 will impact the PP pipe industry. The future international cooperation and policy orientation will guide the plastic pipe industry obviously. 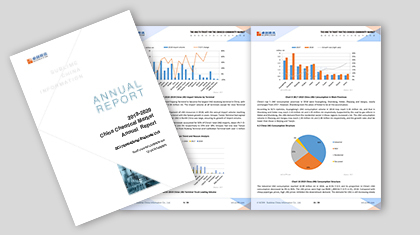 The data in the annual report is calculated, researched and demonstrated by SCI, clearly presenting the detailed supply data at home and abroad. As for the supply, the development history and current status of underfloor heating, fuel gas, PPR and PPB pipe special material industries can be thoroughly analyzed through data changes in recent years. At the same time, the latest research on pipe special materials for domestic petrochemical enterprises will be sorted out, and the future development of the industry will be forecasted based on the fundamental status and national policy guidelines.